Before we get started I would like to say Happy Birthday to the sexiest man I know~ my husband. He turns 23 today and I am happy I get to celebrate 2 of them in a row with him [his first day in Afghanistan was his 21st bday. 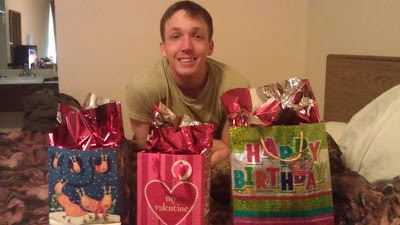 Last year he came home about a week before his 22nd] Hope you have a great day, Baby! I have been loving all these link ups with fabulous bloggers and can never resist joining in. This one is the Confessions link up with Catalyn, divulging into any secrets you'd like to own up to. Thanks for linking up! Come back again soon! I lived in TN for 5 years! !